Complete a Nurse Aide Training Program (NATP) – a minimum 120 hours in Virginia. The Virginia Board of Nursing oversees the implementation of ORBA requirements within the state. Approved training programs must provide the minimum training with 80 hours of classroom instruction and 40 hours of clinical experience. Upon completion of the training, graduates are eligible to challenge the competency evaluation administered by Pearson VUE in Virginia. Riverside Long-Term Care Facility offers a four-week nurse aide training program as part of a recruitment drive. The training combines written and clinical education to introduce students to the many aspects of patient care. Over the course of four weeks, students receive 79 hours of classroom training and 46 hours of clinical practicum at Riverside’s facility. The full-time classes meet Monday to Friday from 8:00 am to 3:00 for the first two weeks, and then students meet in the final two weeks from 7:30 am to 2:30 for clinical instruction. Applicants must demonstrate a commitment to the quality of life for senior residents. Class sizes are limited to 10 students per class, so applicants whose skills match the requirements receive first preference. The program cost is $400 for tuition and materials, but students must allocate funds for purchasing scrubs and other supplies. The state-recognized nurse aide training program at Virginia Health Services provides 160 hours of classroom and clinical training in four weeks. Classes meet Monday to Friday from 8:00 am to 4:00 pm. Training is free, but students must demonstrate a commitment to patient care. The institute provides all the materials required for training. Prospective students can submit their completed applications to the James River, Walter Reed or Lancashire convalescent centers for review. Upon completion of the program, graduates are eligible to challenge the state exam. Graduates are also eligible for employment at any one of VHS’ six locations. Elite Home Healthcare offers CNA training to Newport New residents who want to prepare for a career in healthcare. The program blend classroom instruction with hands-on lab and clinical learning experiences to produce students who are capable of providing competent care in many healthcare settings. Course topics include infection control, anatomy and physiology, infection control, vital signs, medical terminology, basic nursing skills, communication skills, personal care, and laws and ethics in practice. Classes meet Monday through Friday from 8:30 am to 4:30 pm. Applicants must submit to a drug screen and background check. TB clearance, immunization, and a physical exam may be required for participating in the clinical experience. Tuition for the program is $800. New Horizons prepares students for employment as a Nurse’s Assistant. In addition to lectures in the classroom, students will also participate in a clinical experience at a local nursing home. The program runs for one year and graduates are eligible to take the National Nurse Aide Assessment Program examination to become a Certified Nurse Aide in Virginia. Students learn legal and ethical issues, health care exploration, medical terminology, personal care skills, nutrition, the role of a nurse assistant, communication, and common health issues. The program is approved by the Virginia State Board of Nursing and meets the sequential elective requirement. Students must have good academic standing, behavior and attendance. Students who complete the Introduction to Health Occupations will be given priority for admission. Fees for the program include $30 fo insurance, pin and club fee, $80 for the Nurse Aide Assessment, $30 for the NOCTI Assessment, and $30 for the CPR course. Students must also purchase appropriate uniform for the program. Applicants to the nursing assistant program at PTLC must be 18 years or older and be able to read and write English. 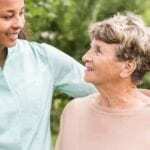 The 120-hour program is approved by Virginia Board of Nursing and includes a lecture component as well as in supervised clinical experience at a long-term care facility. Course topics include medical terminology, communication skills, anatomy and physiology, infection control, basic nursing skills, vital signs, personal care skills, safety and emergency procedures, laws and ethics in practice, and hospice care. To participate in the clinical experience, students must be able to pass a background check, lift or transfer 50 lbs or more, and apply proper body mechanics, and possess communication and management skills. Graduates are eligible to take the NNAAP Exam. Tuition costs $750. The NNAAP Exam fee is $94. Divine Home Care Services, LLC trains nurse assistant students for a career in health in just 5 to 8 weeks. The program is approved by the Virginia Board of Nursing and includes classroom theory and clinical experiences in a licensed nursing facility. Experienced RNs cover medical terminology, infection control, anatomy and physiology, personal care skills, patient transfers, patients’ rights and independence, and hospice care. Applicants must be 18 years or older, provide a copy of their state ID or driver’s license, and be able to read, write and understand English. Students must agree to perform to perform a TB test and provide $20 for a background check. Tuition costs $850 and includes uniform and textbook. A payment plan is available: a weekly option and a bi-weekly.